Everyone...meet Virgil. He used to be an owner operator for Dart Transit...always loved his truck! It's just cool...9800, high rise, set forward axle, exposed tanks and a big animal catcher on the front. 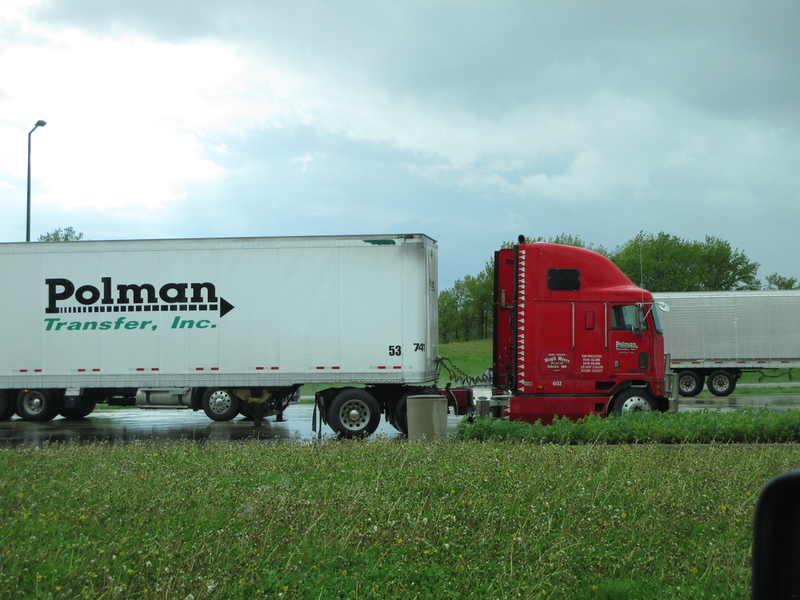 Now he's leased on to Polman Transfer from Wadena MN, way closer to where he lives.